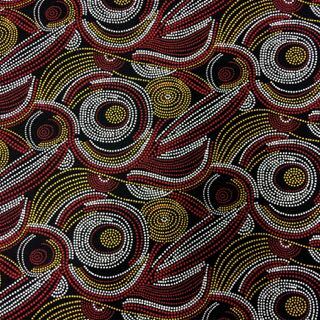 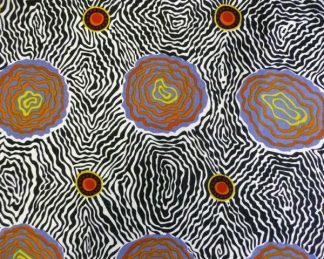 Australian Indigenous Designed Fabric – 100% Cotton. 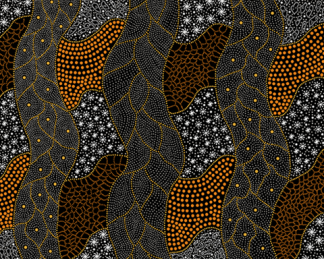 Black background with white, ocre, rust and brown Indigenous print. 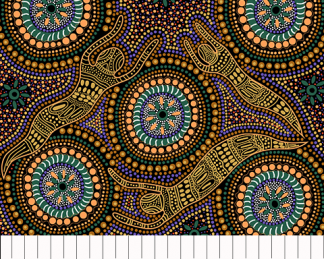 Suitable for quilting and clothing design.